Bruce performed the song off-tour during a guest appearance at a Bob Dylan show. Bruce and Neil Young made a guest appearance at a Bob Dylan show, joining his band and playing electric guitar on two songs: RAINY DAY WOMEN #12 & 35 and HIGHWAY 61 REVISITED. 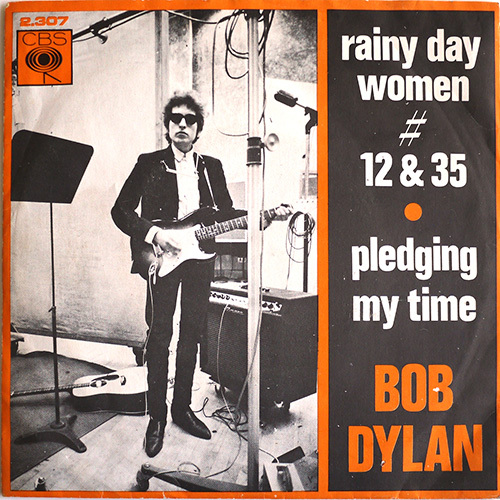 "Rainy Day Women ?12 & 35" is a song by Bob Dylan. It is the opening track of his 1966 album, Blonde on Blonde. It was initially released as a single in April 1966. The song's title does not appear anywhere in the lyrics and there has been much debate over the meaning of the recurrent chorus, "Everybody must get stoned". This has made the song controversial, being labelled by some commentators as "a drug song". A lot of controversies and stories are told about the ‘drug involved ‘ song. Dylan responded to the controversy by announcing, during his May 27, 1966, performance at the Royal Albert Hall, London, "I never have and never will write a drug song."